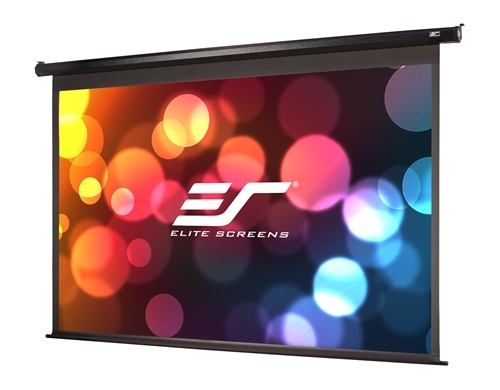 Elite Screens has released a motorised projector screen aimed at entry level consumers, the Spectrum AcousticPro Ultra HD Projection Screen. The Spectrum AcousticPro is fashioned from an ultra-high-definition acoustically transparent (UHD-AT) material similar to that of commercial cinema screens. It’s micro-perforations and it 1.0 gain porous weave means that the screen can be lowered in front of speakers. The 0.32mm perforations ensure an insertion loss of only 2.36dB on average, with the added bonus of no visual artefacts. The screen material is also flame retardant and is commensurate with NFPA 701 standards. The screen comes with a standard infrared control options for raising and lowering, complete with remote and three-way wall switch. It’s 5-13 volt trigger can be coordinated with the projector’s power cycle for a streamlined and sleek home cinema experience. There is also the option of having it come with a special ceiling trim kit for recessed ceiling installations. The screen comes in 100-inch and 125-inch iterations. The US starting prices are $439 and $599 respectively.